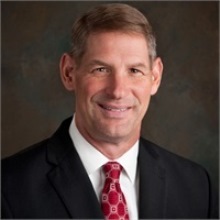 Jeff entered the financial services industry in 1996 after graduating with a bachelor’s degree in International Relations from the University of Delaware in 1987 and almost 10 years in the corporate world. In 2011, he attained the Chartered Retirement Planning Counselor designation through the College of Financial Planning. As a Chartered Retirement Planning Counselor, Jeff focuses his knowledge and talents on creating comprehensive wealth management strategies for his clients, by concentrating on overall portfolio and risk management. Jeff collaborates with attorneys and tax professionals to assist individuals, executives and business owners in managing and preserving their wealth. Jeff, his wife, Stacy and their two children live in Auburn where they are active members of Auburn United Methodist Church. In addition, Jeff is an active member of the Auburn Chamber of commerce and Kiwanis. Away from the office, he enjoys golfing, traveling, sports, and spending time with family and friends.